Vincent Bach combined his unique talents as both a musician and an engineer to create brass instruments of unequalled tonal quality. Often copied but never duplicated, Bach Stradivarius instruments today remain the sound choice of artists worldwide. The Bach C180 series trumpets have truly defined the sound of symphonic brass in symphony orchestras throughout the world. 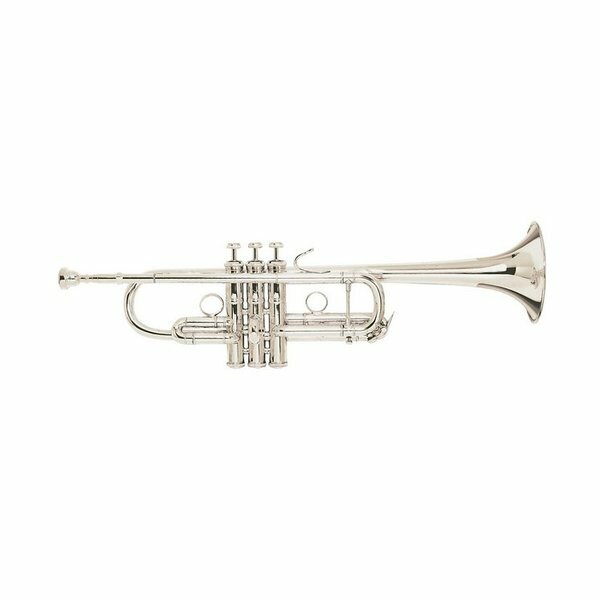 The Bach C180 series trumpets are the number one selling professional orchestral trumpets in the world. The C180SL series features a #239 one-piece hand-hammered professional bell that produces a big, rich, warm sound with great projection. The #25C leadpipe offers slight resistance that is effective in centering tone production. The silver-plate finish provides a controlled brilliance to the overall sound. These features combined with a .462 large bore allow the player to produce a well-rounded sound well suited for all orchestral literature. Bach "Stradivarius" - Key of C, .462" large bore, standard weight one-piece hand-hammered yellow brass #239 bell, #25C mouthpipe, Monel pistons, 1st slide thumb saddle, 3rd slide pin stop, silver-plate finish, Bach 7C mouthpiece, C180C woodshell case.